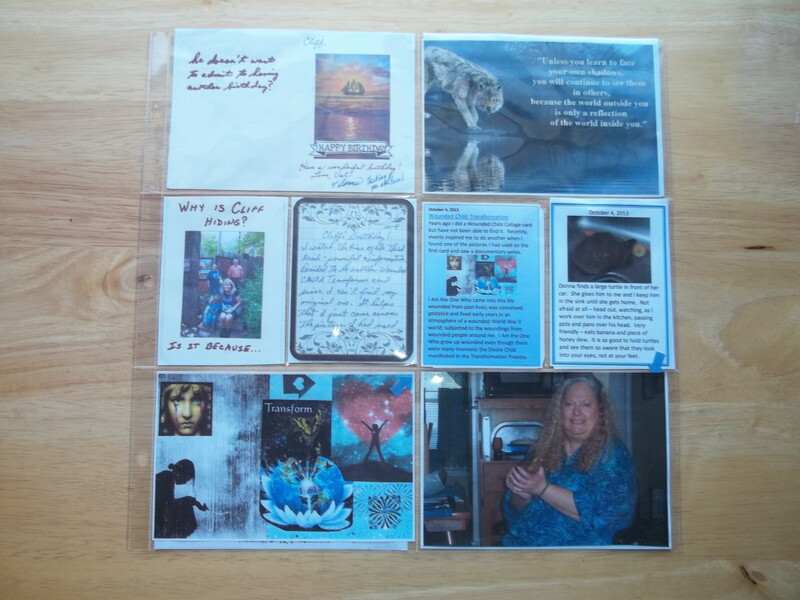 This then became my final part of combining SoulCollage cards and Project Life. I added a picture taken from Pinterest for the color and the quote along with copies of a birthday card, inside and out, I made for my brother and some memories. And we found a turtle that same day so added that picture for color, content and date, along with a journaling card about the interactions with the turtle before we let him go back into the wild. This colors of this page balanced well together and with the other side of the album (which is not shown). Journaling, personal pictures, handmade greeting card, and SoulCollage all combined into Project Life.